I was reading aloud, into space? He quotes Joseph Brodsky in ‘So Early in the Year’, saying that ‘there should be no continuum of anything... no life is meant to be preserved.’ And one does get this great sense of emptiness from Knight’s work. Even in a life well lived and full of incident – as in ‘50 Second Life’, – Knight manages to wrap it up in fifty seconds – less if you want. Or you can use his ‘Tick-Box Life’ method. Delete the options as appropriate. Whose fingers: those of his children? Fingers re-incarnated through the years? For a collection pervaded by absence, hands, fingers and touching are recurring themes. The act of touch stands out in a collection where the narrator seems to stand alone. 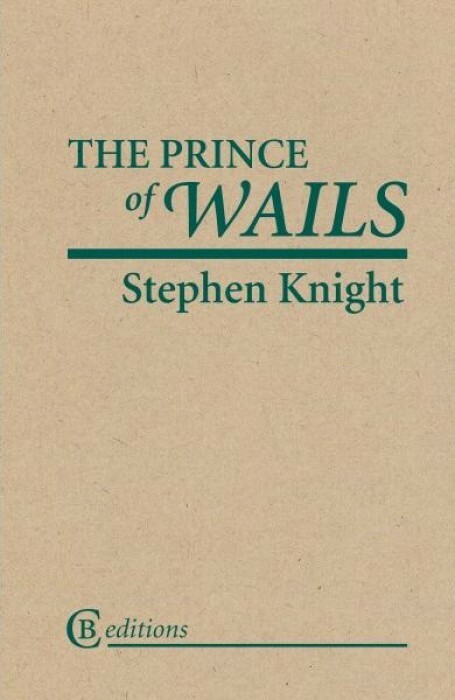 If you are of an age to get Knight’s 50-60s growing up references (Patrick Troughton, coal bunkers, The Light Programme or Johnnie Ray, singer of Prince of Wails) you will admire the poet’s wry humour. But there is always a sense of the narrator looking in on the ordinary things of life, as in ‘Thank You for Having Me’, the official opening poem which depicts an evening rush hour. It leaves one with the sense of no one having engaged with you. You are not part of this world. The narrator is clearly taking home a child whom he straps into the car to return home and yet he is still disengaged. Knight’s poems to and about his children, for example, ‘Why You Cannot Go Downstairs’, will strike a chord with many parents. But one does get more of the sense of an ending, rather than a future with this next generation, a sense which is probably heightened by the poet’s own age as a late parent.